Printing a directory listing is probably not something you’ll need to do often, but it can occasionally be useful. Maybe you just want a quick list to compare with another directory. Maybe you need to generate a printed list for some work reason. Or maybe you just want a saved list of your installed apps. Whatever your reasons, printing or saving a directory list isn’t too difficult. We’re going to show you a quick way to do it from the Command Prompt (or PowerShell), and a third-party tool that makes things a little easier if you have to do it often. 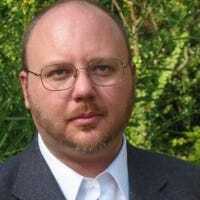 Printing or saving a directory listing using PowerShell is an easy, straightforward process. First you need to open the Command Prompt and get to the directory for which you want to print the contents. You can do this in one of two ways. 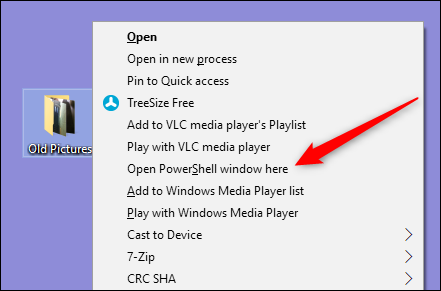 The first (and easiest) is to right-click the folder and choose the “Open PowerShell Window Here” command from the context menu. If you already have a PowerShell window open, you could also just navigate to the folder using the cd command. Note: This procedure works exactly the same way whether you use PowerShell or Command Prompt, so use whichever you feel most comfortable with. Windows creates a file in that same directory by whatever name you chose. 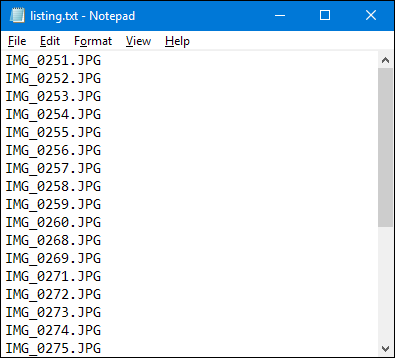 When you open the file in Notepad, or in your favorite text editor or word processor, you’ll see the same directory listing you would see had you just used the dir command alone at the prompt. Note: the cmd /r part of this command tells PowerShell to execute the command as typed and then exit. If you’re using the Command Prompt, you don’t need to add the cmd /r part of this command and would just type dir /b > filename.txt . And one more little bonus tip. If you find yourself needing to create a file with directory listings often, we’ve written about a little hack that lets you copy a directory’s file list to your clipboard with just a right-click. That makes things a little more convenient, and also lets you paste the resulting file list into any type of document you want. 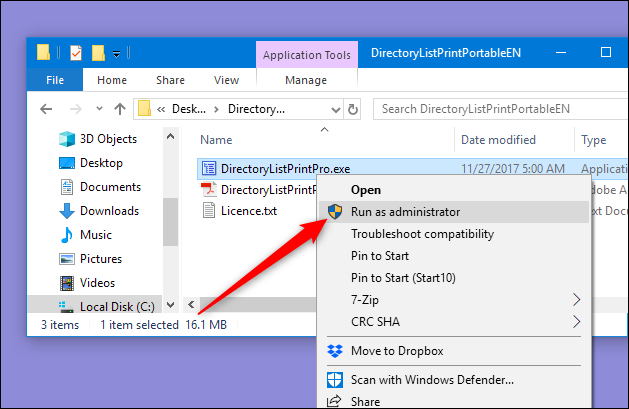 If you don’t mind installing a third-party tool to get the job done, Directory List & Print makes things even easier by letting you generate directory listings that you can customize, save as files, or print. 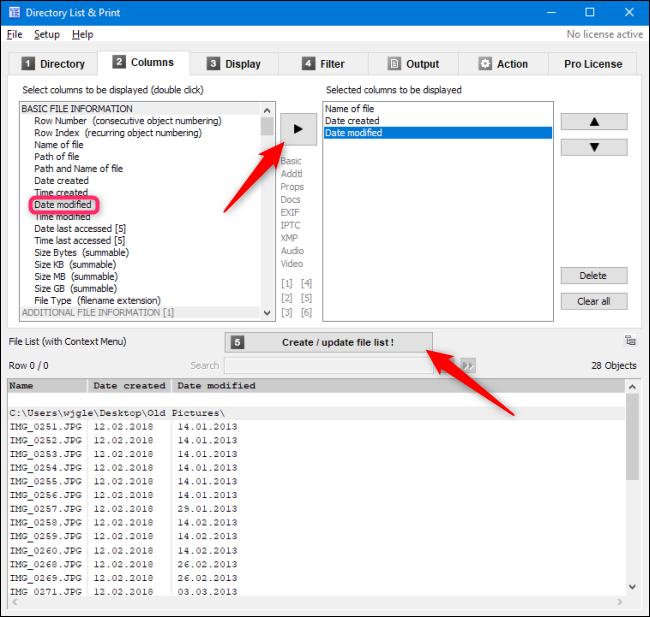 The free version Directory List & Print will likely do everything you need, especially if you’re just looking for a way to print basic lists of files in single directories. If you need even more power, the Pro version ($22) adds the ability to include a huge number of metadata and Windows file properties, specify a recursion depth for subdirectories, provides additional sorting abilities, and more. Directory List & Print is available as both an installable or a portable app, so choose whichever is right for you. Using the app is reasonably straightforward. On the “Directory” tab, choose the directory for which you want to list the contents. You can choose from a hierarchical folder view or a list of favorite folders. On the “Columns” tab, choose the columns you want displayed in your list on the left and click the “Add” button (the right arrow) to add those columns. Use the up and down arrows at left to adjust the positions of the columns. And click the “Create/Update File List” button at any time to see how your list is shaping up. Choose any advanced options you want from the “Display” and “Filter” tabs (we’re going to send you to the app’s help files for details on those), and then, on the “Output” tab, choose how to generate your list. 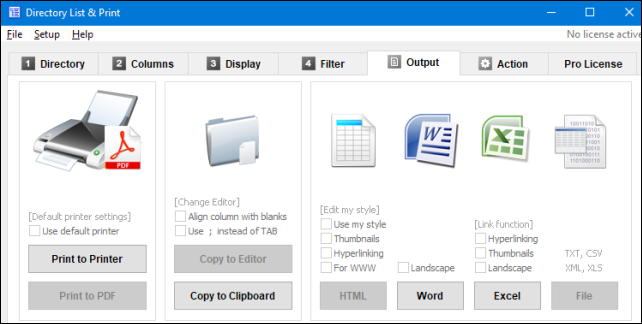 You can print it, copy it to the clipboard, or save it in a number of popular formats. 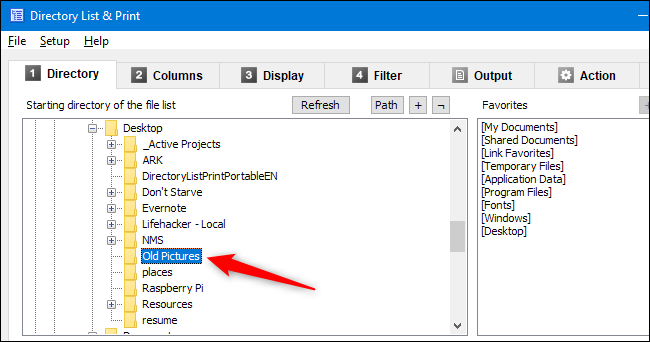 Another especially handy feature of Directory List & Print is that you can add an option to the context menu for folders, allowing you to quickly open that folder in the app. To do this, you must first run Directory List & Print as administrator. Right-click the .exe file and select the “Run as administrator” option. 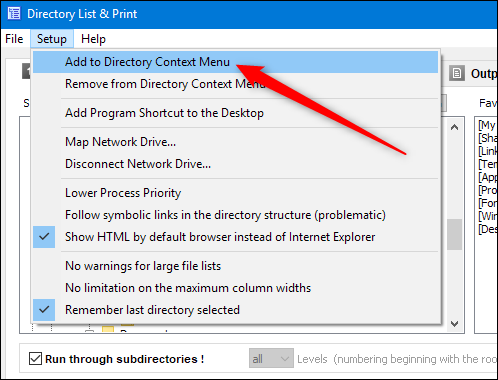 After the app loads, open the “Setup” menu, and then choose the “Add to Directory Context Menu” option. Now, to generate a quick listing, just right-click a folder and choose the “Open in Directory List + Print” command from the context menu. 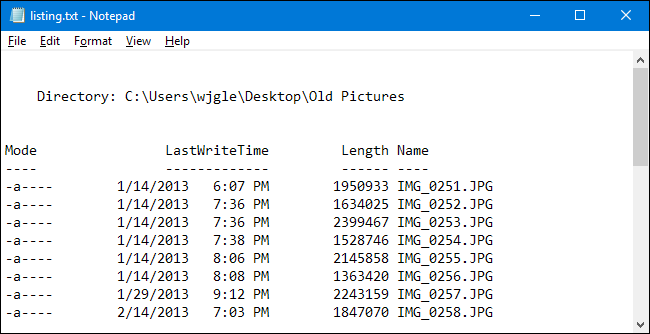 You can also drag and drop a directory from Windows Explorer onto the program window to quickly generate a listing of that directory.